When you dine at any of these St. Augustine restaurants on the water, you don’t have to sacrifice gorgeous views while enjoying your delicious meal! Whether you’re visiting St. Augustine on a romantic getaway or you’re celebrating a special event, there’s no better atmosphere to enjoy a world-class meal. Take a look at our picks for the best waterfront eateries in town! 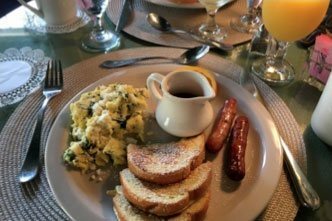 We’ve listed three of our favorite St. Augustine restaurants on the water, but there are plenty more eateries in town to enjoy! Access our free Vacation Guide to get a full list of the best places to eat (and drink!). Our free Vacation Guide is accessible from any mobile device. No more bulky and outdated travel books! The best resource for local recommendations fits inside your pocket. Access it today to get started! Cap’s on the Water is known for having an incredible wine list and an outstanding menu of Mediterranean and Southern dishes. Enjoy beautiful views from the main dining deck and under the front canopy. This fine-dining restaurant is known as a local favorite and for a good reason! The atmosphere is relaxed, the food is good, and the wine selection can’t be beat! O.C. White’s Seafood and Spirits is about a ten-minute walk from Agustin Inn and features some great views of the Matanzas River. This historic eatery was originally constructed in 1790 and served as one of the first hotels in town. Today, visitors come to O.C. White’s for delicious blended drinks, fresh seafood, and an incredible brunch menu. Just keep an eye out for the infamous Mrs. Worth, a former resident who is said to be haunting O.C. White’s today! If you’re looking for a St. Augustine restaurants on the beach, The Reef is the perfect place to start! Located on Vilano Beach, the less-crowded and locally preferred alternative to St. Augustine Beach, this restaurant features an incredible selection of seafood dishes. They try to source their ingredient locally whenever possible, and you can taste the difference in their food! This restaurant is a 13-minute drive from Agustin Inn. 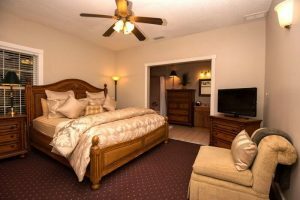 No matter which of these St. Augustine restaurants on the water you visit, be sure to return to the cozy guest rooms of the gorgeous Agustin Inn. 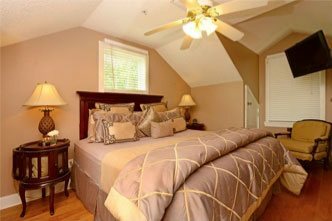 Our gorgeous bed and breakfast is located just steps from the famous St. George pedestrian-only thoroughfare, which houses some of the most iconic attractions in town. Consider staying in Coventry Room, a spacious second-floor accommodations with a beautiful king-size bed. 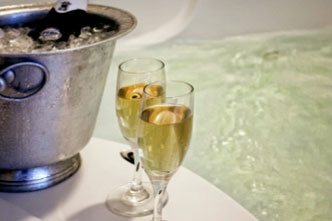 Enjoy soaking in the oval-shaped Jacuzzi tub and listening to the acoustic music playing from the nearby cafe. This suite is ideal for couples traveling on a romantic getaway or honeymoon. If that sounds like you, consider adding one of our specials or packages to your reservation! 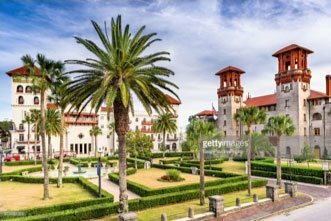 We offer plenty of great ways to enhance your trip to St. Augustine!